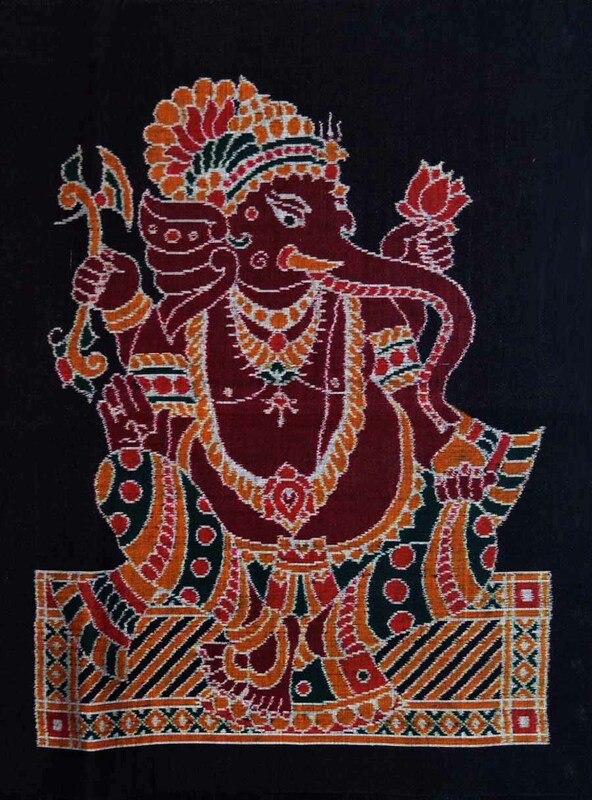 This is a Ganesh woven on a traditional Ikat Handloom with yarn Tie and Dye technique. This is a master piece. 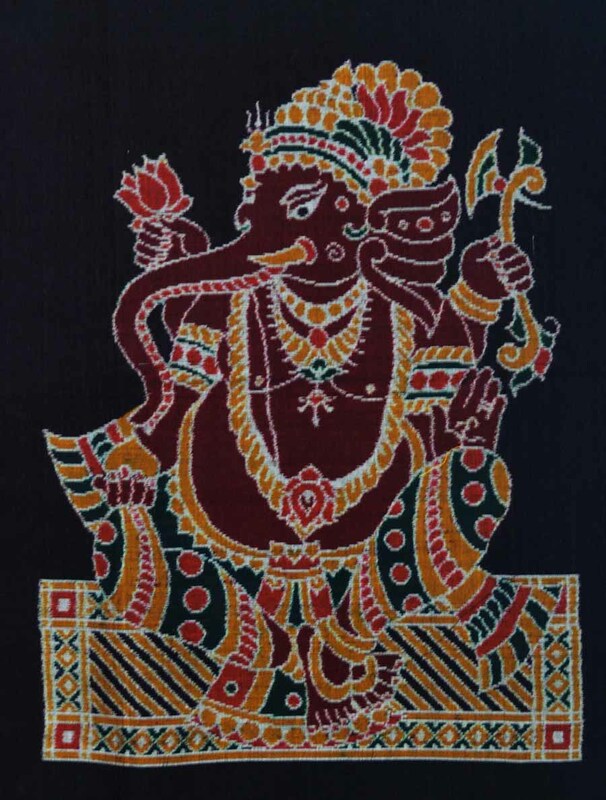 An unique art work not easily available and may not be available at all in future with this type of Ikat handlooms gradually becoming extinct. Both front side and back side have been published for better appreciation. Back side will be exact mirror image of front side.